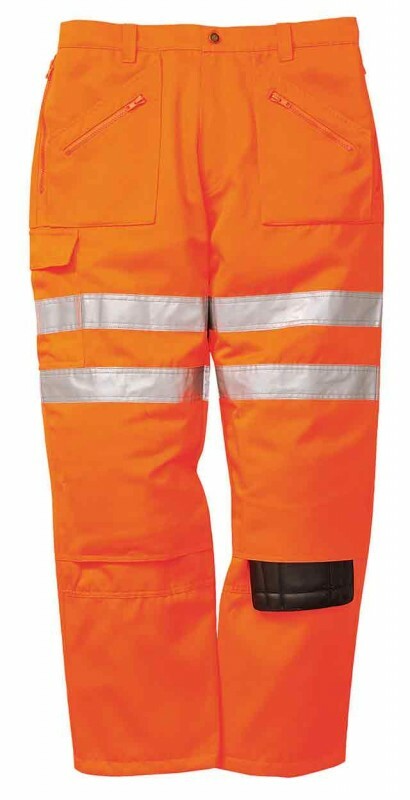 The RT47 Rail Action trousers conform to the latest rail standards; these multi-pocket action trousers incorporates excellent features such as comfortable elastic waist multiple pockets and generous sizing. Elasticated comfort waist, kneepad pocket, action style, combat pocket. Fabric: 65% Polyester, 35% Cotton, 245g. EN ISO 20471 Class 2; GO/RT 3279.